WHERE DOES THE NAME EMAZDAD COME FROM? Emazdad's unique name as given to him by his daughter Emma's classmates when she was in reception class. EMMA'S DAD, EMMA'S DAD, SHOW US SOME MAGIC! His fantastic Fun Filled Magic Shows, Stress Free Children's Parties and Amazing Balloon Modelling skills have bought lots of magical joy to 1000's of children and adults, in Plymouth, Devon, Cornwall and all over the South West for over 20 years. 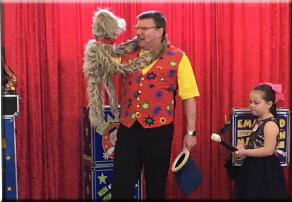 It doesn't matter whether it's a Children's Birthday Party, a Fete, Fair, Holiday Camp or Open Day, if you book Emazdad to perform at your event it's guaranteed to be a huge success. Emazdad’s Mega Fun Filled Birthday Parties bring The Loudest Laughs, make The Widest Smiles and produce The Happiest Memories. 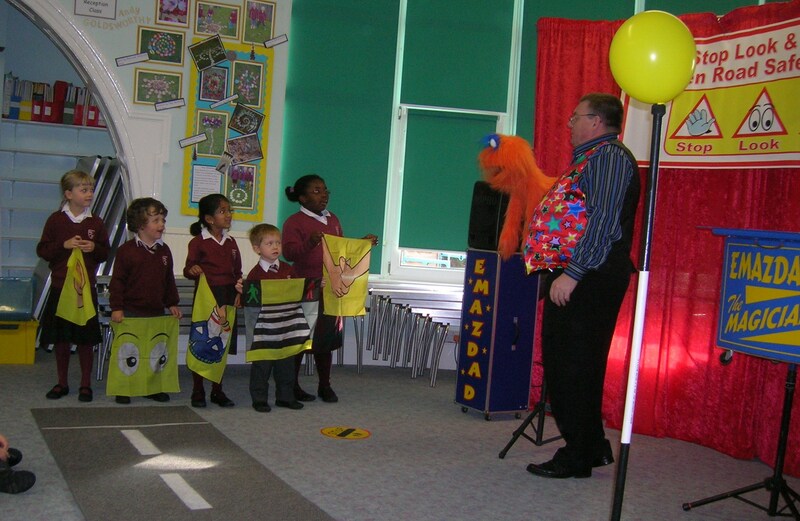 A Funfest of Silliness, laughter and Magic, the children are the stars of the show, and every show features 1 or 2 of Emazdad's Mischievous Friends. Guaranteed to bring a huge wide smile to both Adults and children alike. So watch out kids or Mum will run off with your balloon creation. Whether it's a Ships Homecoming, or a Families Day at sea, He will ensure the Children have a day to remember. 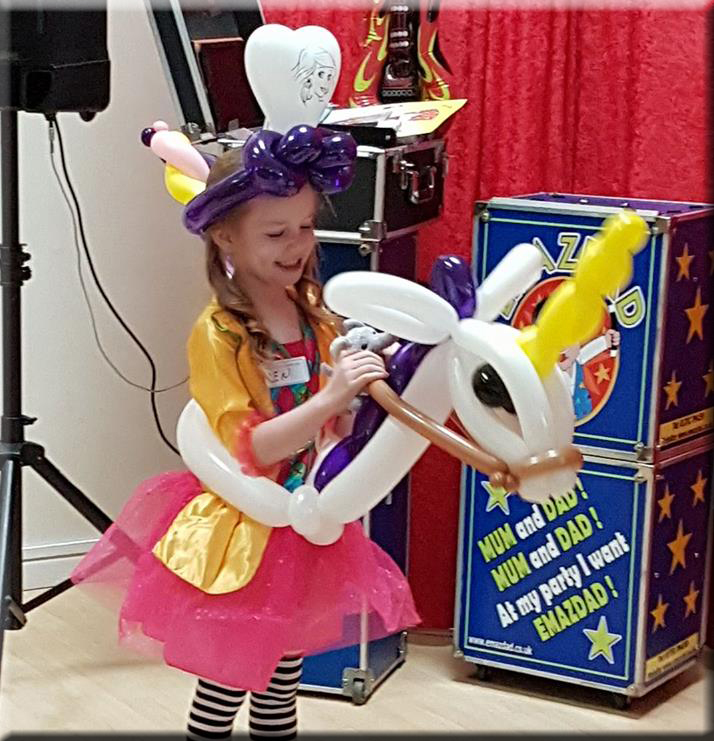 A combination of Magic Shows and Balloon Modelling will ensure that everyone has a terrific time. Balloon Modelling is great way to entertain the children at any family occasion. Due to the large area Emazdad covers and the variety of packages he offers it's impossible to put a price list on the website. The fun interactive way to teach children about the many dangers on our very busy roads, and how to cross the road safely.